Covering the Parliamentary Constituency of North West Hampshire in the boroughs of Test Valley (including Andover, Charlton, Bourne Valley, Penton Bellinger, Amport and Anna Valley) and Basingstoke and Deane (including Whitchurch, Burghclere, Highclere & St. Mary Bourne, East Woodhay, Tadley & Baughurst, Kingsclere, Overton, Laverstoke & Steventon, and Oakley & North Waltham). I say no - conscience comes before one's own ambitions and equality, tolerance & justice are far more important that one's own career path. 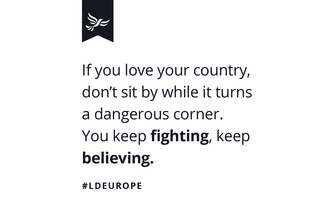 The future of our great United Kingdom and our future generations is far more important than anything else in my view and worth fighting for every step of the way. Politics surely should be about policies and not personal attacks - what a shame it hasn't remained that way? 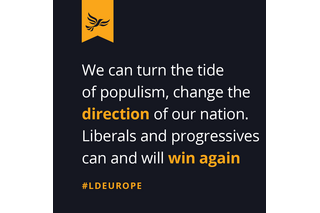 What I did not realise is that this was just the beginning of a long and rocky ride over the coming months where I saw a real lurch to the right, in the words of the former Tory MP Stephen Phillips QC the party has started to mould itself into 'UKIp-Lite'. 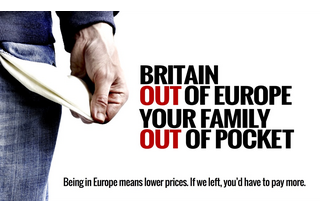 This lurch to the right began to be visible to me during the EU Referendum campaign. Having been instrumental in setting up 'British Indians for In' with the now Employment Minister Alok Sharma MP, I travelled up and down the country talking to the British Indian Community about the benefits of remaining in the EU. 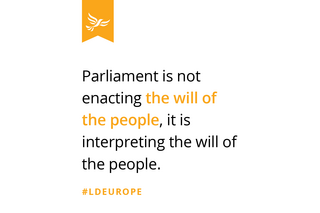 Currently the only political leader and party outlining the inconsistencies in the Brexit argument are the Liberal Democrats & Sir Vince Cable - everyone else seems to have vanished & with them their 'remain' arguments too. That for me is still not the issue (even though some would say it remarkable how 'remain' politicians are now silent) - the issues are the by-products of the referendum vote for example a rise in hate crime in London and across the country. Ethnic minority communities in particular the youth in these communities have been subjected to abuse which has divided our strong and united country. This has in my view been brought about by this constant lurch to the right by the Government. This surely cannot be correct? Would we like our children or family members being treated differently just because they have a different accent? It is unfortunately where we currently are in our country. 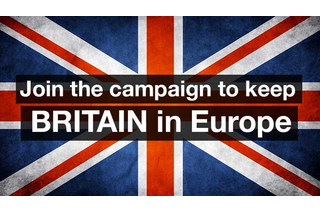 Whilst over 17 million people voted to leave the EU, over 16 million voted to stay. The real challenge is finding a suitable way to represent all people and be an inclusive country for all regardless of background, ethnicity or religion. 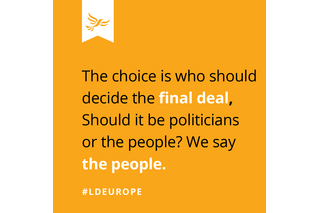 There is evidently still time to acquire an exit from Brexit as it is apparent there is growing support for a vote on the final deal. Having made many lifelong friends in the Conservative Party who do genuinely want to see a brighter future for all, it seems truly a shame that some have shifted the entire political discourse and agenda. We are looking to develop our trade with nations like India but do not seem to be bothered how Indians in the UK feel about their role in the UK and their place within British society. Stopping Indian students from studying here, stopping Indian restaurants from bringing specialist chefs over for their restaurants, making it harder for families to be reunited due to stringent visa rules on Indian nationals. How possibly can you on one hand look to want to develop trade between nations such as India but not welcome Indians to the UK. It really is hypocritical - maybe we should wake up and smell the coffee? All of this shows a clear unwillingness to engage with ethnic communities at grass root levels and understand what it is they want to see in a post Brexit UK. As a British Indian who has been involved in community issues for many years and as the son of refugees who came to the UK in the 1970's due to the expulsion of Ugandan Asians by Idi Amin, I cannot see how such heartless actions can be carried out. It could have been my family 40 odd years ago! 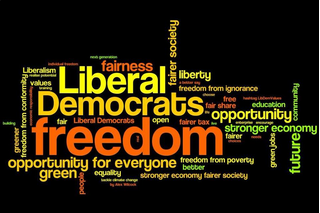 After much deliberation I came to the conclusion social justice, equality and positive race relations are at the heart of my rationale and currently there is only one party that is looking to try and promote such an agenda and that is the Liberal Democrat Party. Kishan Devani FRSA was the Deputy Chairman of the London Conservative Party from 2014 to 2016, a 2015 Parliamentary Candidate for the Conservatives & a 2016 London Assembly Candidate for the Conservatives. Kishan Devani FRSA is now a Treasurer's Envoy for the Liberal Democrat Party, Vice-President of the Liberal Democrats Campaign for Race Equality & Vice-Chairman of the Liberal Democrats in Business. Published & promoted by Robert Cooper on behalf of North West Hampshire Liberal Democrats all at Hobbits Roost, Mary Lane, North Waltham RG25 2BY.